This Saturday was the Nanny Goat race – it’s a local ultra in Southern California, and competitors can run 12 hours, 24 hours, or 100 miles. I registered for the 12 hour race with no real goal in mind, and ran 50 miles in 9:36 – a great pace for me – before calling it a day. 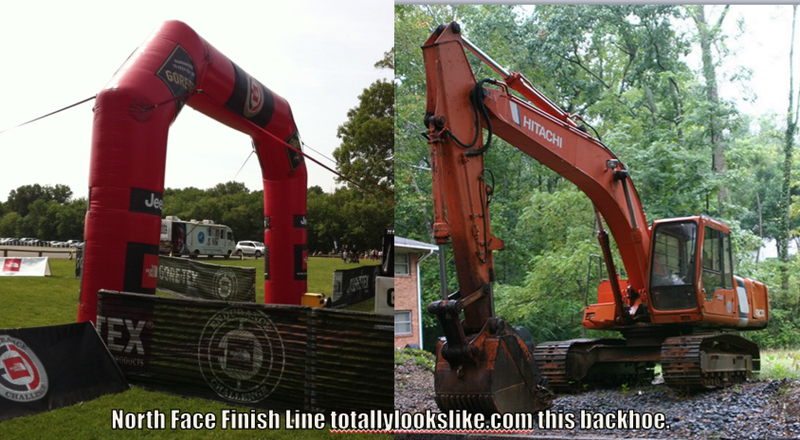 The event was my kind of race, catering to the fringy, fun-loving, and a slightly unhinged ultrarunner demographic. This made for a great atmosphere, so different than what you find at aggressive road races. Characteristic of veteran ultrarunners, everyone at this event was extremely friendly and excited to chat. There were also runners who dressed up in costumes – @runjesterrun was there in full jester regalia, which was really fun to see! Other runners wore pink tutus or grass skirts. 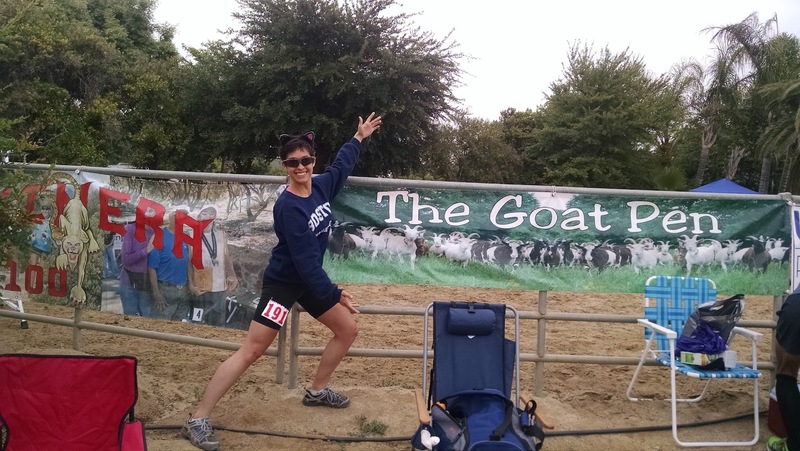 In true strange-ultrarunner fashion, we started the race in a goat pen. To kick it off, they opened the gate and we all stampeded out and on to the course. 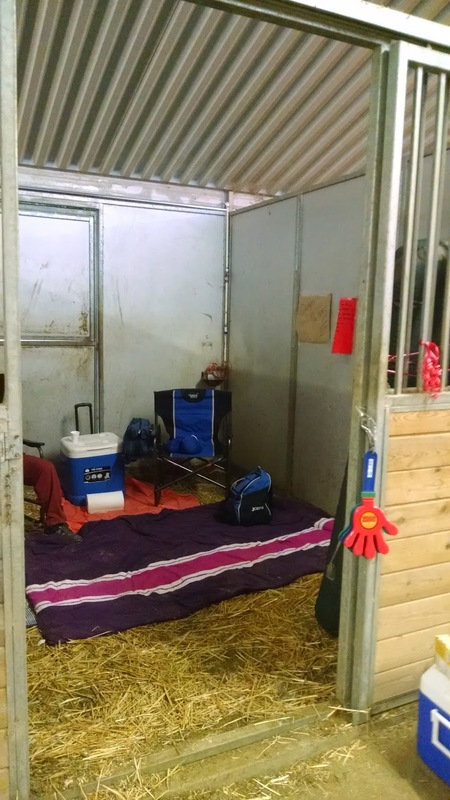 Another view of the goat pen, featuring our starting gate on the left, next to a motivational banner. 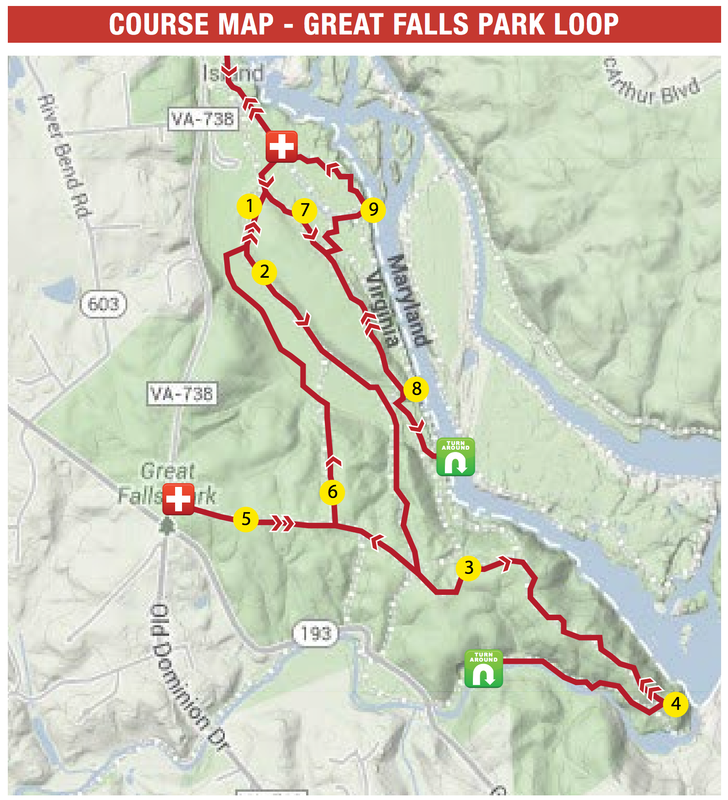 The course itself was a 1-mile loop. Yay snark! Also, check out the guy in the pink tutu on the left – he was [mostly] walking, and his goal was a beer every three laps. 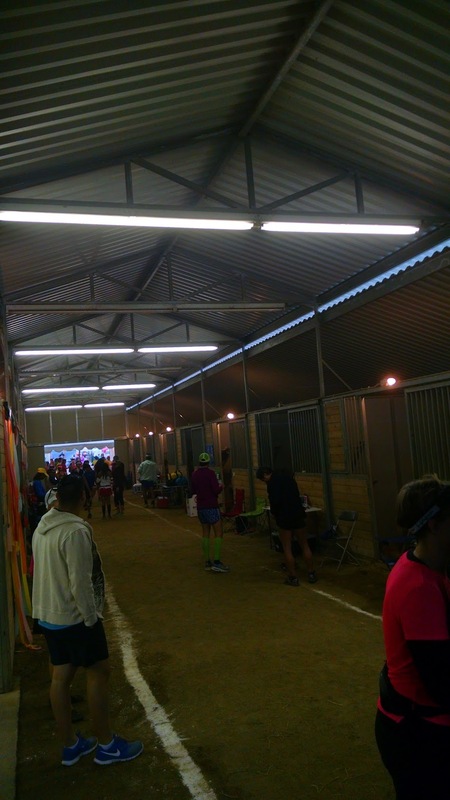 We ran through a horse stable & barn area, and some runners in the 24-hour event set up their mini-camps in the stables. 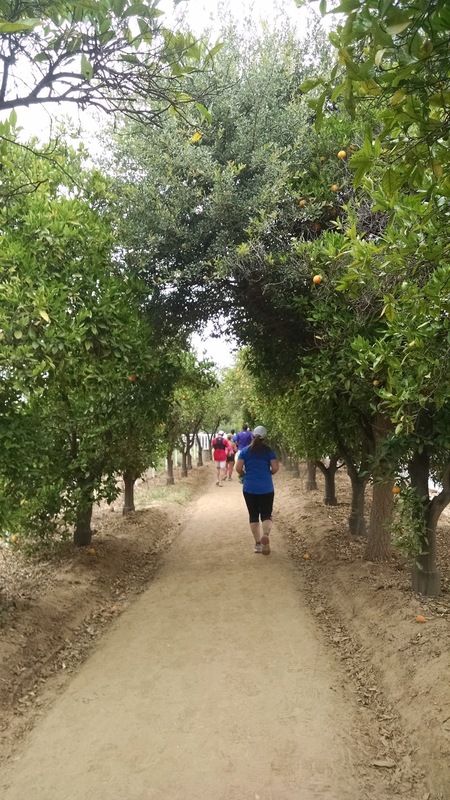 We got to see ponies at every mile, and ran through a tunnel of orange trees. 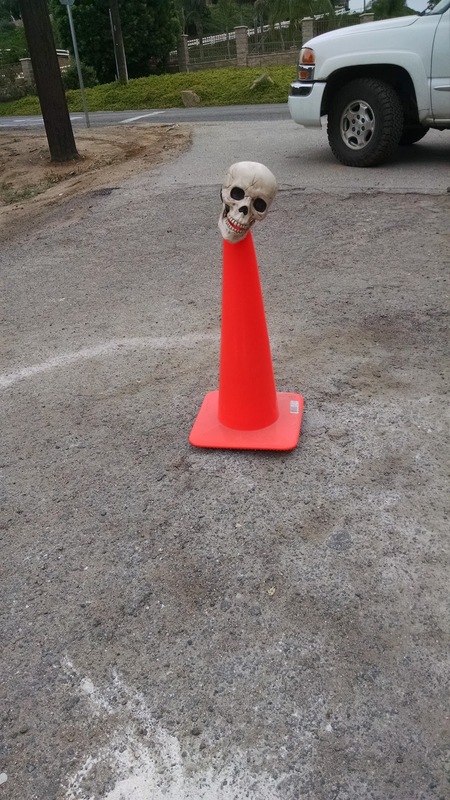 We also met the cone of death every mile at the turn-around. Because this turnaround was so tight – myself included – took to pivoting the other direction around the turn – we’d do a little spin to stretch out the muscles on the other side of our bodies. This worked really well at the beginning of the race, and progressively less well as our muscles got more and more tired. 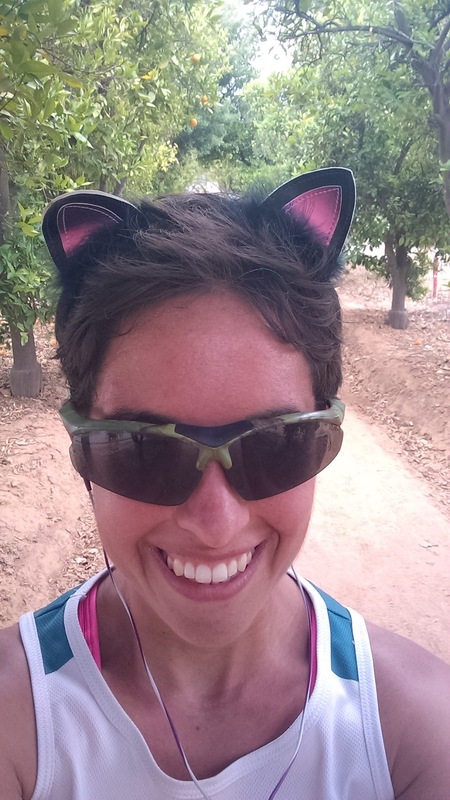 I was crashing pretty hard around mile 31 – pretty tired, a little dizzy, and bad body-temperature control. 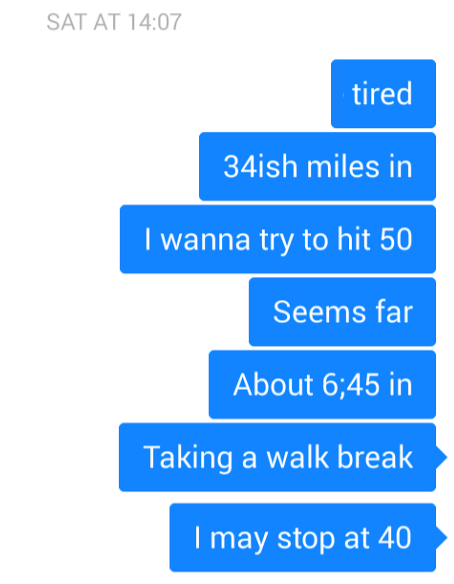 I pinged Will, who explained that I was probably tired because I had just run 31 miles. 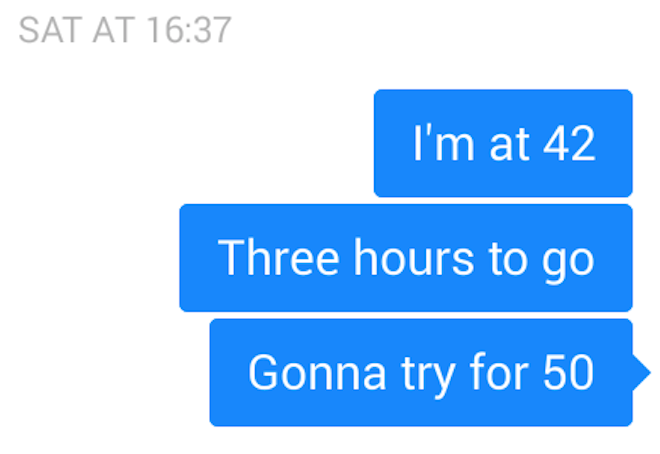 This made sense, and I turned on some pump up music to power through. To participate in the costumery, I found a cat-ear headband to wear, which made me easily identifiable and also made me some friends. 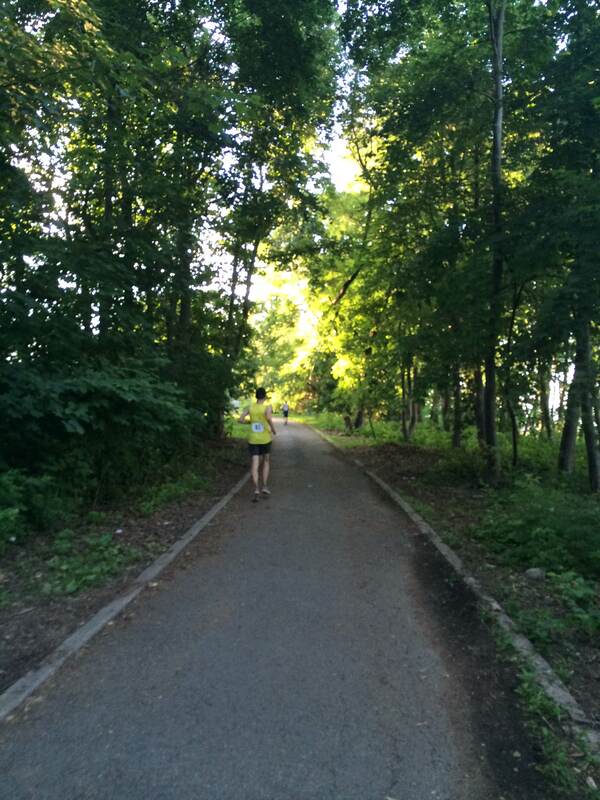 This included one pacer who, after he made dog-barking noises, I coerced into running my last three laps with me. Cat eats! Surprisingly not at all irritating to wear for 10 hours. The best part was seeing one of my Antarctica shipmates at the finish – Rose, who lives nearby, came to cheer me on for the last lap and a half, and we went to get ice cream right afterwards. Great end to a very fun race. Just finished! Photo with Rose, Antarctic badass, while wearing my Antarctica shirt [and cat ears]. As some of you know, I’m training for Pine Creek 100-miler, a flat 100-mile trail race in northern Pennsylvania in early September. 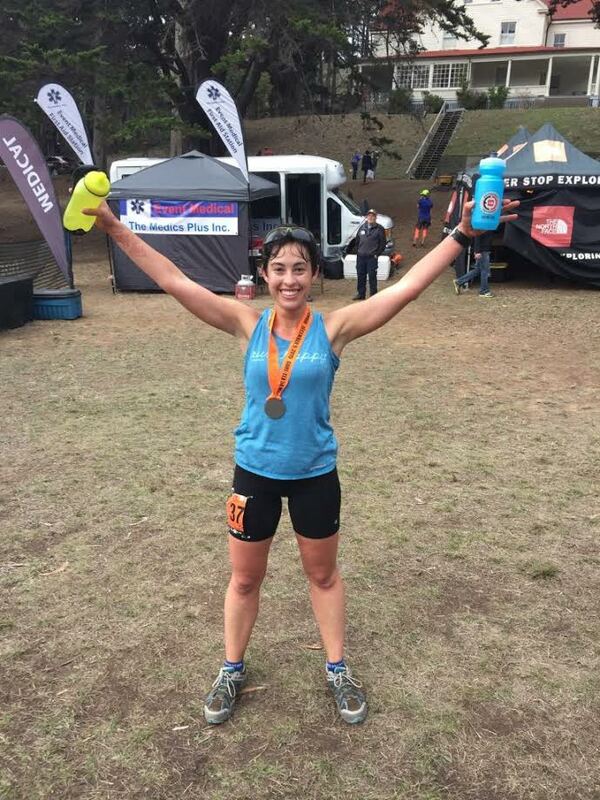 As part of my training, I like to get in some long, hard runs – so the San Francisco 50-miler in the Marin Headlands seemed like a great fit. My theory behind tackling this race was that if I could handle this much climbing over this distance, I’d be pretty well prepared for a flat 100-miler in September. For me, hill climbing can be psychologically devastating; you’re working very hard and moving very slowly. For this race, I was prepared for the worst. 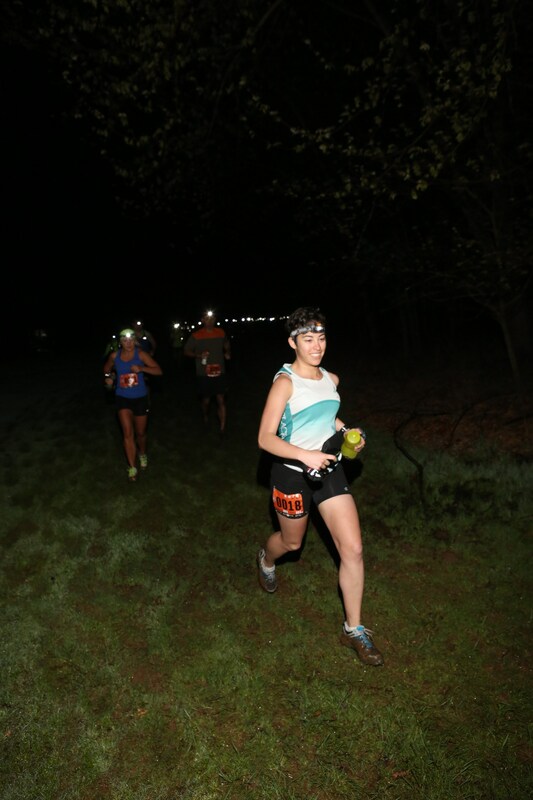 There were 72 registered runners for the 50-mile race, and 18 runners taking on the 100-mile race. We’d all run together for the first 50 miles, after which the crazy people would stop, and the crazier people would keep moving for another 50 miles, on sightly different but equally challenging terrain, to finish their 100. The morning was characteristically foggy. We followed our intrepid race director out of the parking lot, and he laid out two orange cones as our relatively informal start line while explaining how to follow the ribbons to stay on course. “We’ll have a mat at the finish line to record your time … we haven’t put it out yet, but it will be there.” “You’ve got plenty of time!” one of the runners called back. 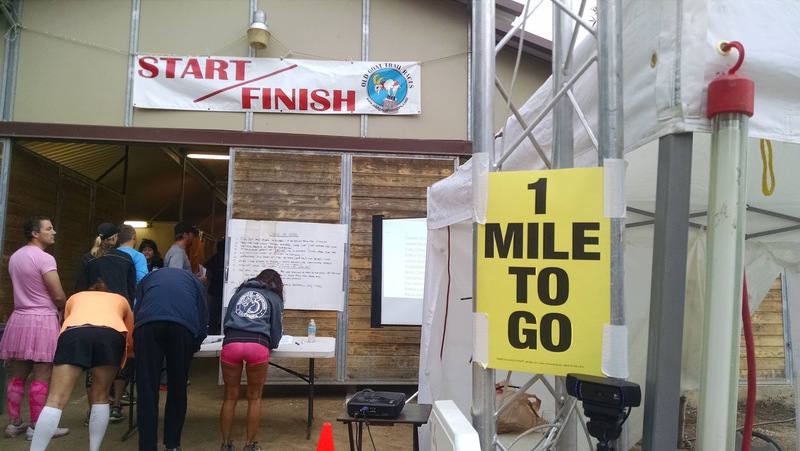 The course record for the 50-miler was just under 8 hours, which, while fast, certainly left them some time to set up. We took off on a flat road, heading south into the fog. It’s always tempting at the beginning of a race to run quickly – after all, it is a *race* – but in ultras, speeding up that early can tire you out really quickly. I reigned in my enthusiasm for the first mile or so, listening to a couple of runners chatting behind me. A few of them were using this race as a training run too, as they were preparing for various 100-milers around the same time as mine. Training for a 100 can logistically challenging, as there are very few people to compare training plans with. 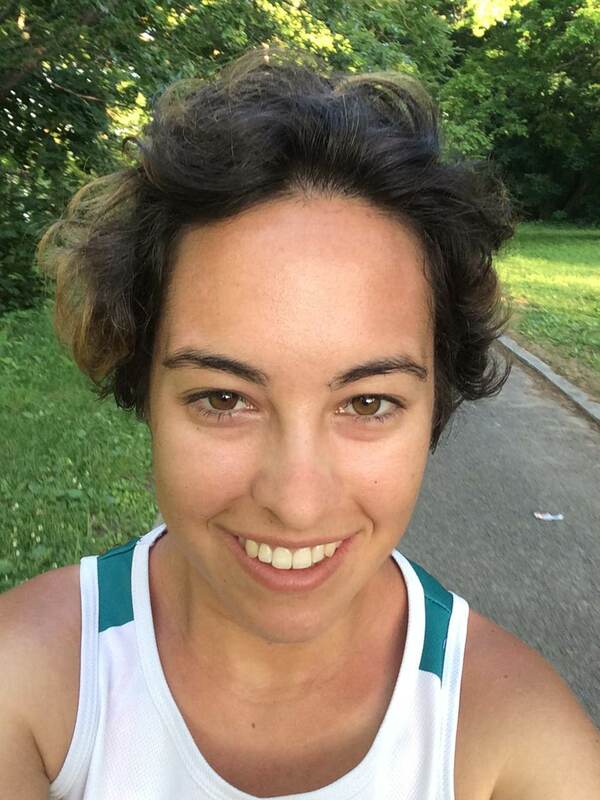 Marathon training plans are pretty well-established and straightforward in their mileage, frequency of runs, and distribution of long runs, but there’s no formula like that for a 100. 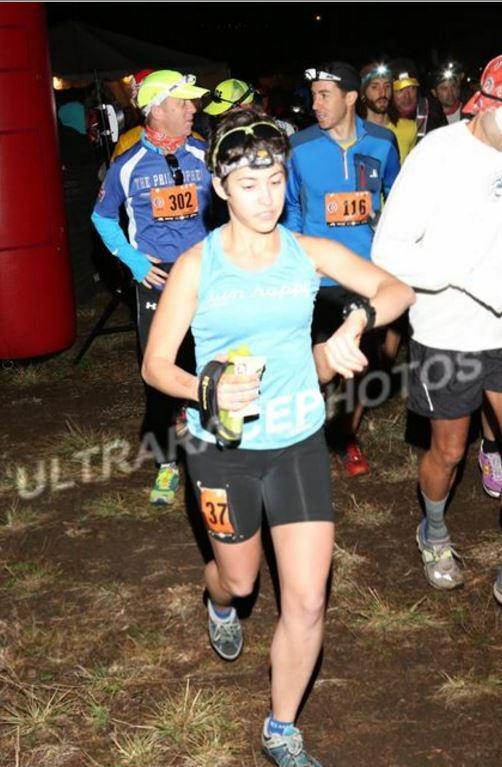 It was good confirmation to hear that other runners had the same idea I did about this race. 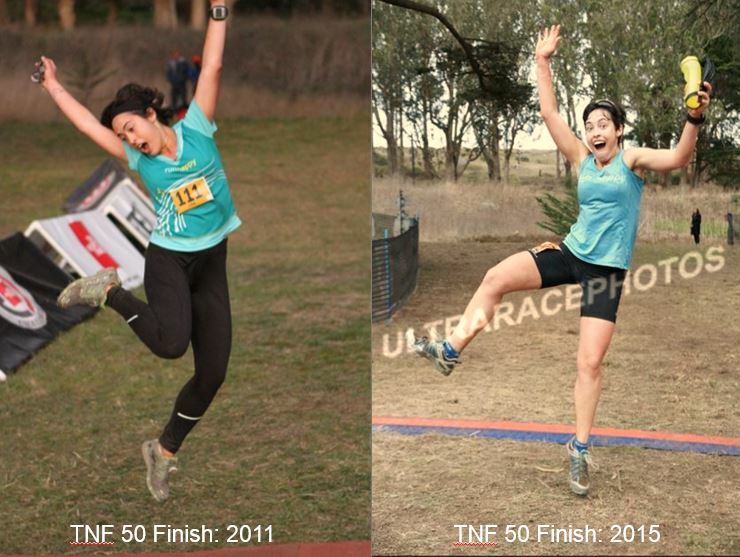 Ultrarunners have a very particular way of running that is pretty easy to identify. There’s zero wasted motion, and the range of movement is also very tight – again, the goal is to conserve as much energy as possible. We spotted one runner way out in front – he had a big backpack on, and it looked like he had to overcompensate his body movement to keep it in place. I learned that he’d biked almost 20 miles to get to the start, and, today, was taking on the 100-mile distance. Internally, I raised my eyebrows (actually raising them would have taken up a lot of energy 😉 and wished him luck. We passed him at one point, and despite much speculation amongst runners on the course, I’m not sure how he ended up. In ultras, my mantra is “if it looks like a hill, walk it.” This gives me permission to interpret any surface as a hill – even if it isn’t one – and walk it. The surface only has to *look* like a hill, not actually *be* a hill. So, when we hit an easy hill very early in the course – it was a shallow, 200-foot climb – and I knew I could run it, I dropped to a brisk walk – I’d need that energy later. One of the runners behind me caught up and started walking, as well. 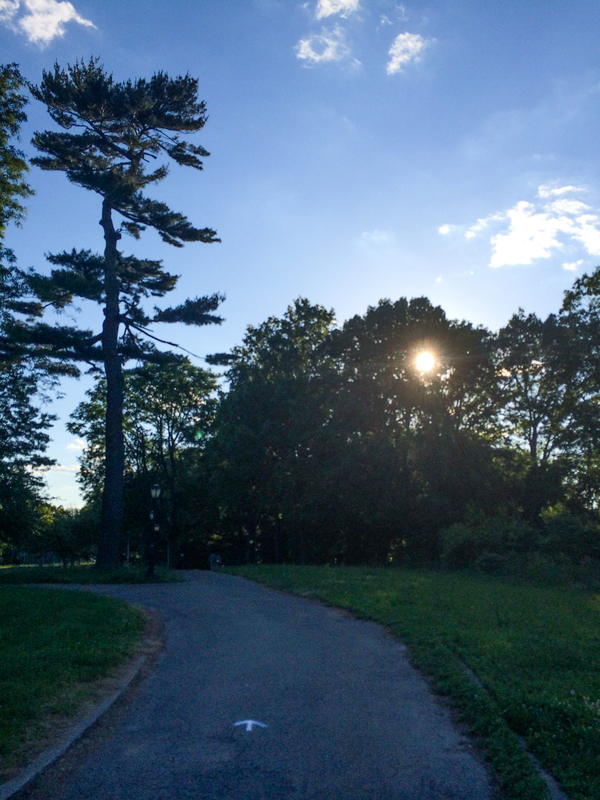 We shared the same hill philosophy – walk all of them. He introduced himself as Rick, and was using this run as a training run for the exceptionally challenging Wasatch 100; it has something like 27,000 feet of climbing at ~5,000 feet of altitude. This guy was a speed demon hiking up hills – I kept telling him to take off when he’d inch ahead, but we ended up running together for the rest of the race, which was really cool! The first 8-12 miles weren’t bad at all. The fog was incredibly thick – one of my friends once likened these conditions to running inside a ping pong ball, because all you can see is the ground in front of you and a greyish orb everywhere else. 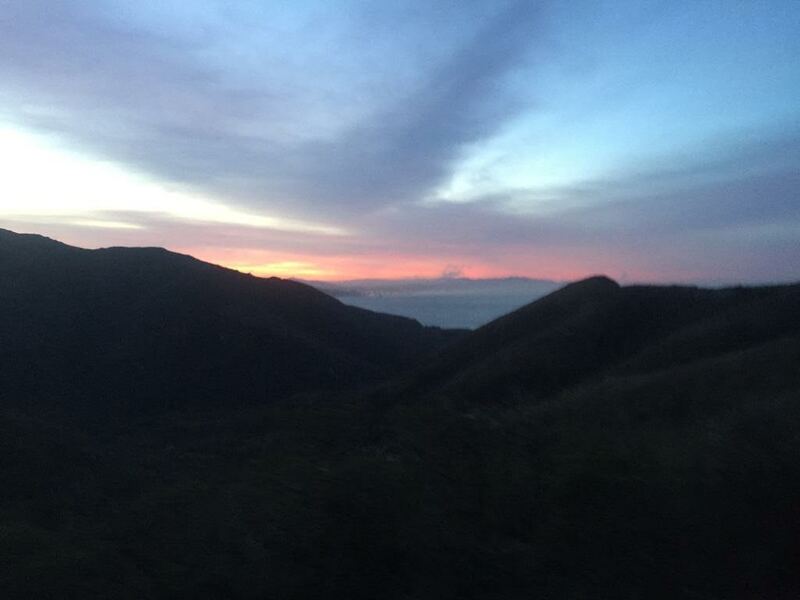 Having run those hills before, I knew the views of the ocean and the Golden Gate Bridge could be beautiful and expansive. However, it was a relief to not see the huge stretch of trail extending miles into the distance, knowing that I’d have to run it. Instead, I focused on the trail just in front of me and the deep, vibrant greens and browns around us. Around mile 20, after a few aid stations and a lot of climbing, we hit a the high point of the course and an aid station. We then left the rolling hills and plunged into a wet, green forest. This was part of the infamous Dipsea Trail, which is known for its challenging climbs, including 688 steps over 7.5 miles. 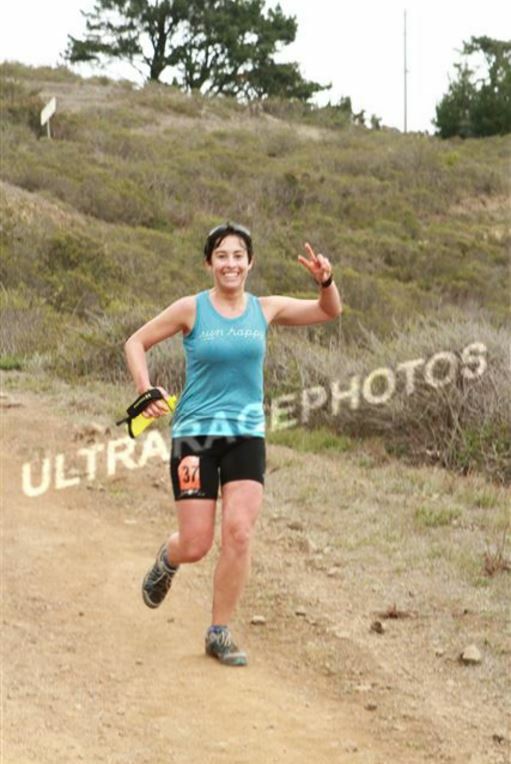 The turn-around was at mile 27, at Stinson Beach. On the way in, we had some beautiful views of Stinson’s long stretch of white sand. While the sun was clearing out the clouds a bit, it still wasn’t too hot, which was also great. 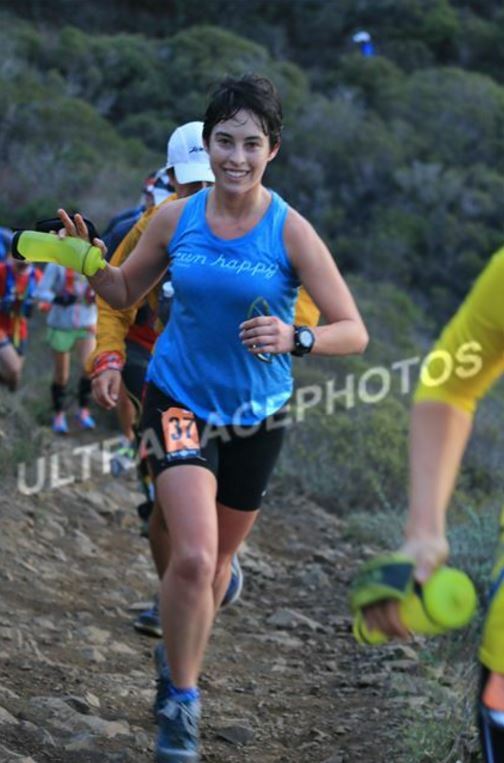 Usually I carry an Amphipod water bottle, which has a hand strap and is curved to fit into a palm so the runner doesn’t have to squeeze to carry it. However, I’d left mine back in Philly – traveling with carry-on only isn’t conducive to toting around lots of gear. 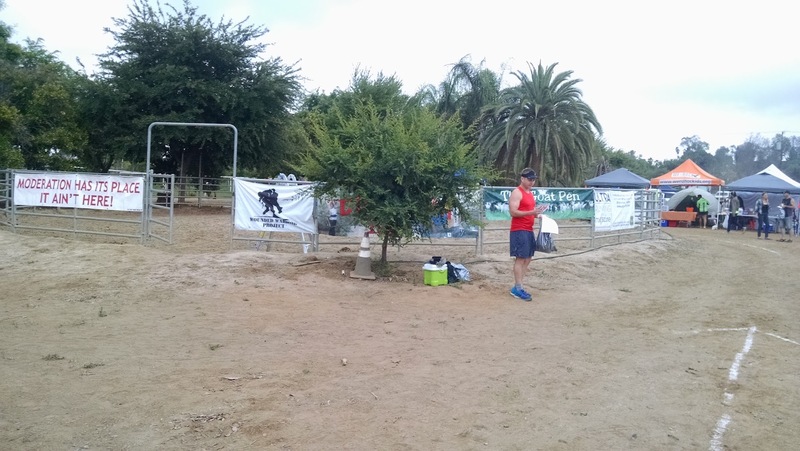 Instead, I was using a cheap 16-oz disposable plastic water bottle and refilling it at the aid stations, to the confusion and consternation of the aid station crew. I also didn’t bring a jacket, arm warmers, compression socks, or a Camelbak backpack; I was definitely (and proudly!) the runner with the least gear. After taking a quick minute to refuel, Rick and I turned around, looking forward to retracing our steps along now familiar trails. We’d done the first 27 miles in 6 hours and 10 minutes; not bad at all. The third quarter of the race is always the most challenging for me. It’s tough to face the fact that I’ve got to do double the mileage I’ve already done. While I’m more than half way, there’s still so far to go. To compound that feeling, we faced one of the steepest climbs of the course on the way out of the turnaround. The course profile shows it as vertical line, which inspires little confidence. I remembered tackling that climb around the same mileage at Northface and feeling completely defeated. I assumed I was going to be wrecked on this climb, too. However, the combination of my summer training mileage and having a fellow runner along for the pain of the climb made it completely manageable. 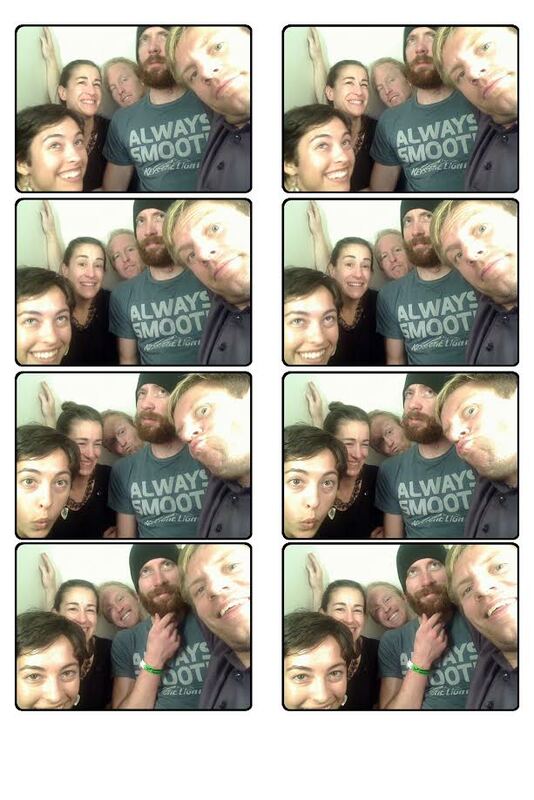 We re-climbed Dipsea, which was conveniently shaded. Once we hit the aid station just after that, we had a 4-mile downhill stretch. This was the first time my muscles started really complaining – the downhill can be hard on quads, and I was just starting to feel it. We had some switchbacks on this portion that were really brutal – I had to take some downhill walk breaks. However, it meant that the biggest climbs were behind us. 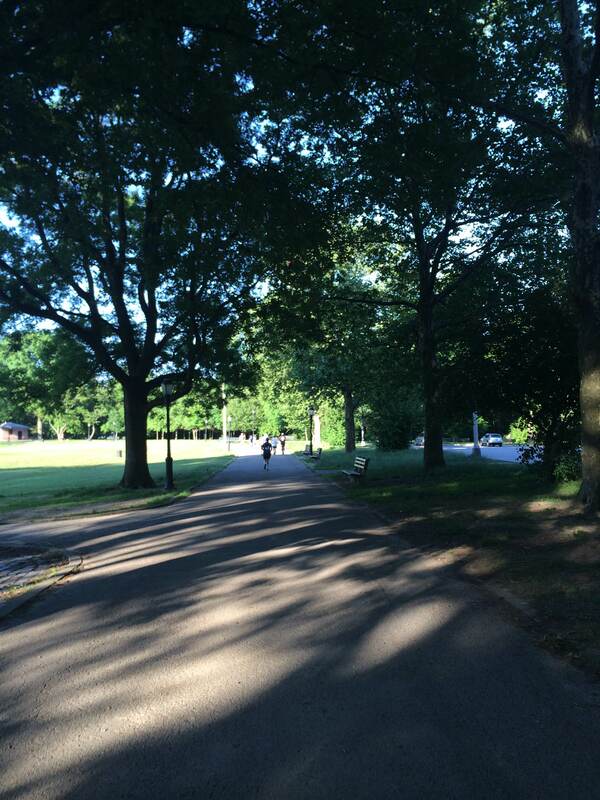 I’d done no hill training in the past three months; New York City is pretty flat. I’d been very worried about how I’d hold up during this race, but all the climbing seemed okay; I guess running in crazy heat and humidity will train muscles pretty well, too. The last few hills were challenging; we encountered freezing winds on the ridges, which we’d also found on the way in. This time, though, we were running downhill and looking forward to being done, so we stretched out our arms as if we were flying down the mountain. 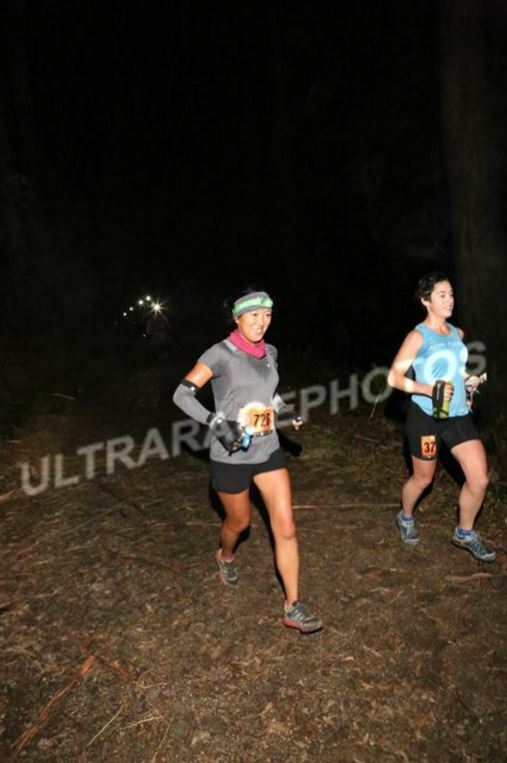 As mentioned, the turn-around was at mile 27, and this was a 50-mile race. So, we weren’t perfectly retracing our steps; the last few miles would take us off of our original path along a shorter trail to the finish line. Even though 50 miles is 50 miles, we – Rick especially – were really looking forward to finding this shortcut. 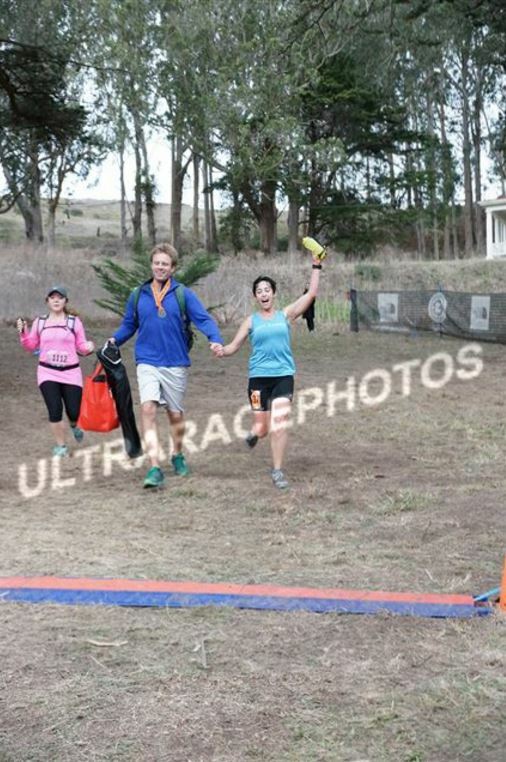 The last aid station was 3.2 miles before the finish line, and they pointed us to the shortcut. 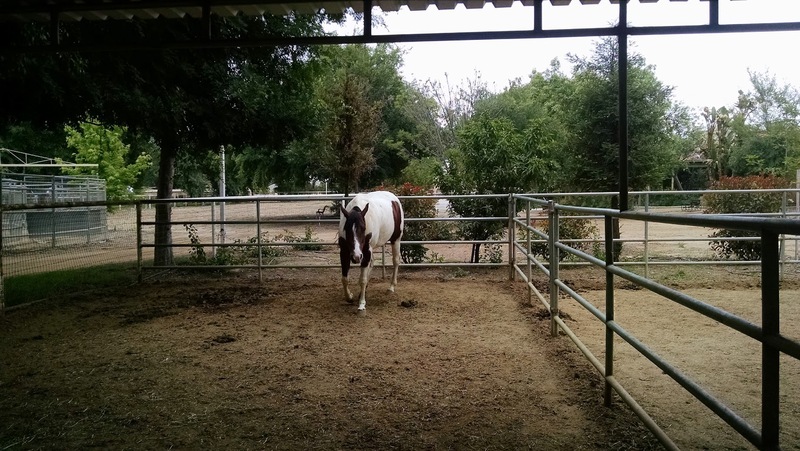 We left the original out-and-back and trotted on the final stretch to the finish line. We ran as much of the last ~5k as we could. With a bit over a mile to go, we could see the finish line, and, while still moving, spent several minutes speculating how we’d get there and where the course would take us. At one point, a 50-mile runner *blasted* past us – he was seriously flying. “I’m trying to come in under 12 hours!” he shouted, and blazed down the hill. We didn’t know what mile we were at, but we estimated he’d have to be doing an ~8 minute/mile pace or so to get there, which is really fast after ~48 other miles before it. (He made it in 12:01:49 – very close!). 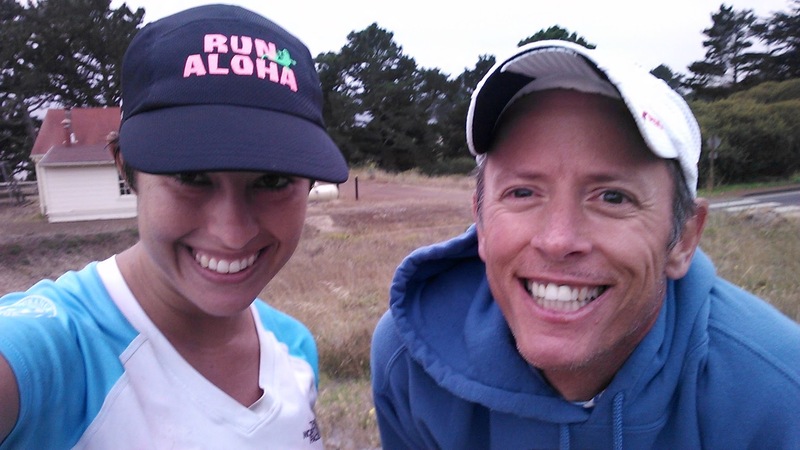 Rick and I agreed he’d have to really push it to make it, and we kept our steady trot. We descended into the beach area and turned off the trail and onto the road. The fog was still blanketing the area, and it was getting a little darker – it was about 7pm now. There were two runners behind us as we took on the final stretch. Motivated to not be passed within a half mile of the finish, we “picked up the pace” – i.e. didn’t walk – and made the final turn into the parking lot. The timing mat had, as promised, been laid out. Rick and I crossed the finish line simultaneously at 12:07:54. Pizza, soup, and hotdogs waited for us at the finish line. Delicious. Lisa and Rick just after crossing the finish line. That fog’s still out there! 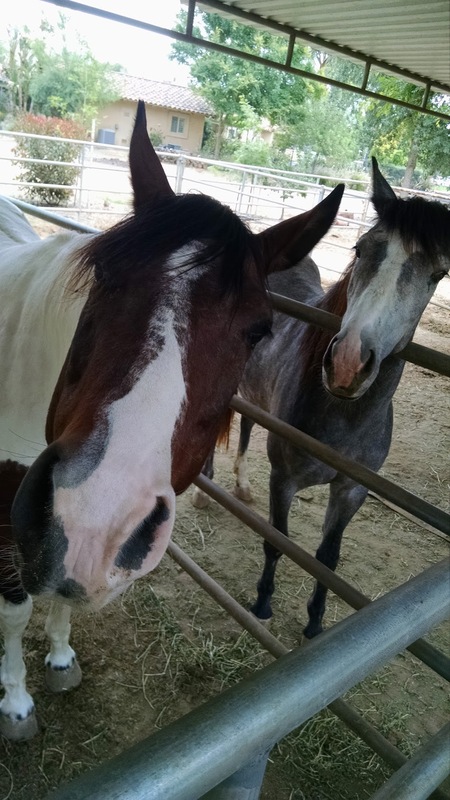 One runner we’d been trading places with back and forth took off; he was a 100-miler. Overall results: 7 of the original 18 runners in the 100-mile race finished. 7 additional 100-milers dropped to the 50-mile. 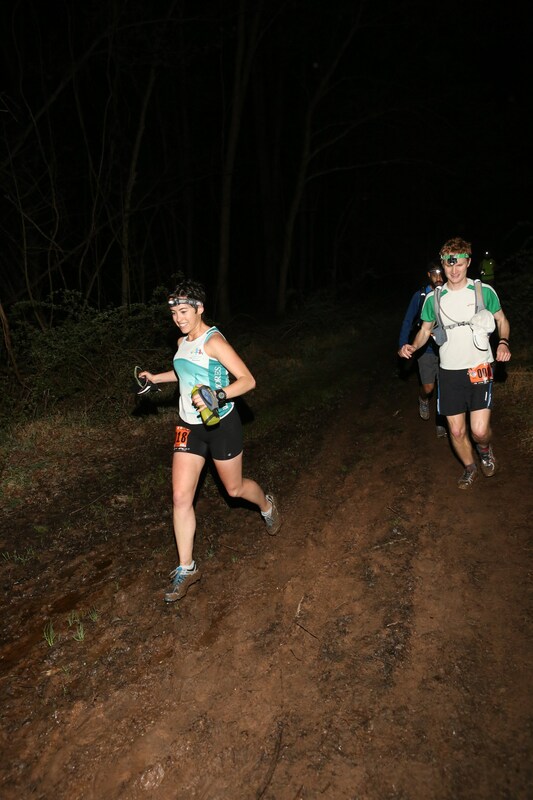 Of the original 72 runners in the 50-miler, 61 (excluding the 100s) finished. 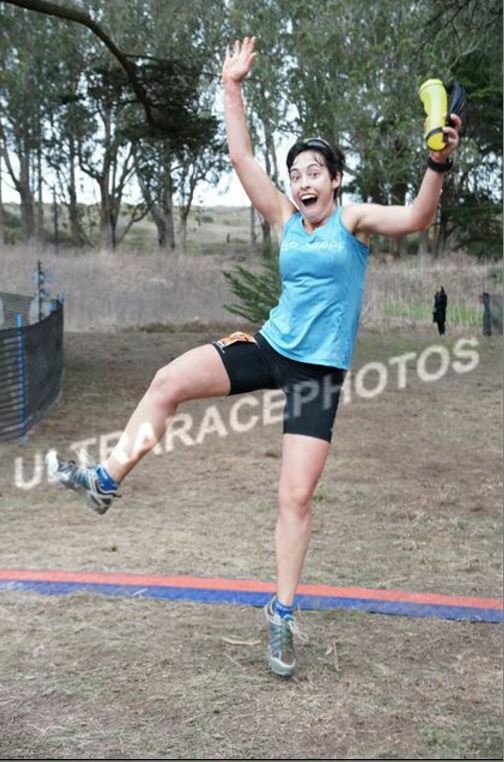 I finished right in the middle of the women’s pack, and came in 2nd for my age group (… okay, there were only two of us. She was about 30-seconds per mile faster than me). 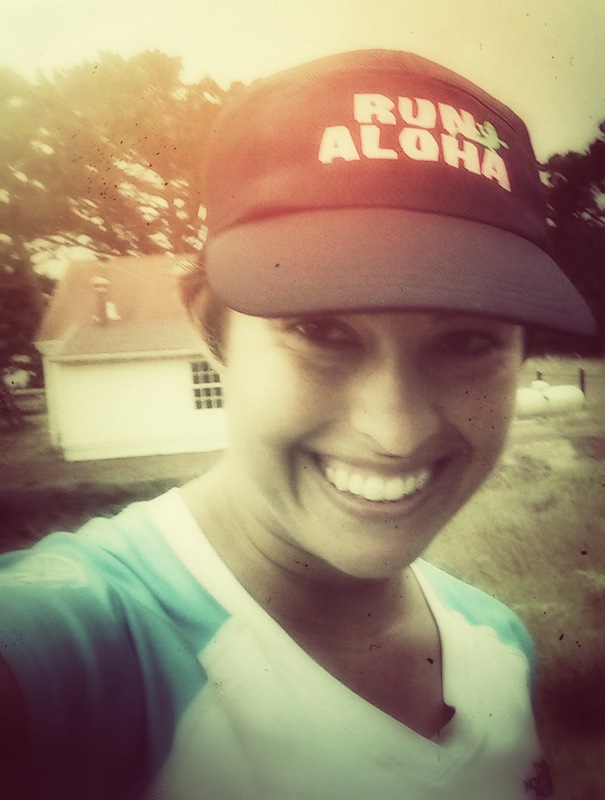 One of the hardest parts of running long distances is the psychological challenge. There can be some serious, serious lows, where you feel completely demotivated to continue and even doing another mile seems completely out of the question. I was fearing that I’d face that on this run, but this was actually one of the easiest races, mentally, I’ve ever run. I chalk it up to good company, good weather, great scenery, and long, solo training runs over the last several months. I’m not quite sure what my training plan is for the next five weeks. 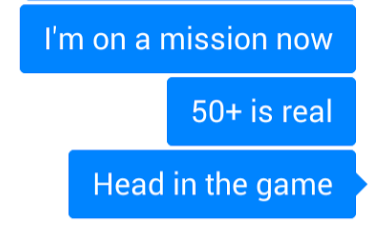 I’d like to get a couple of 20 or 30 mile runs in without overdoing it. Since I’ll be traveling through the southwest with my equally crazy boyfriend, who is also training for this 100, I’m sure we can fit that in – the challenge will be making sure to get the rest and the taper. Overall, great race – I feel well-prepared for what comes next. Delicious post-race meal. California, you rock.